Utah has built a robust global network based on a solid foundation of diplomacy and protocol. As the state continues to grow its international opportunities, diplomacy and protocol are more critical than ever in building lasting bridges between our state and other countries. As one of the youngest, fastest growing and best states for business in the United States, it’s no secret that Utah is a bright spot on the world map. With more than 120 languages spoken in daily business, Utah’s globally-minded citizens serve as an integral bridge from the Intermountain West to the world. Partnerships and alliances, developed over decades of diplomatic relations, are a critical component of Utah’s successful economic formula. For more than 25 years, Franz Kolb, director of international protocol and diplomacy for the Utah Governor’s Office of Economic Development (GOED), has played a pivotal role in promoting the state on the world stage. Through the years, Kolb has welcomed more than 1,500 ambassadors, consul generals, consuls and other dignitaries and VIPs to Utah, and facilitated trade and diplomatic relations between Utah and leaders from across the world. On any given year, GOED hosts roughly between 50 and 100 international delegations and representatives from countries all over the world. 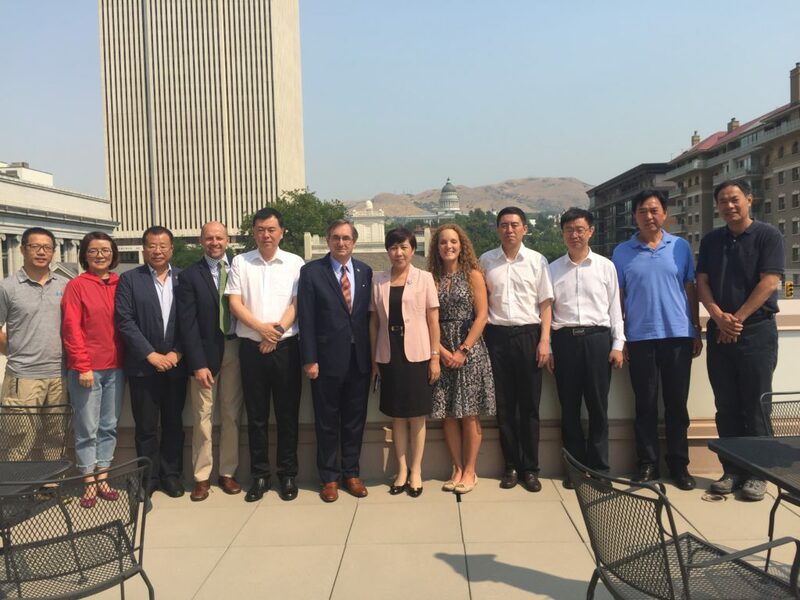 In 2018, Kolb welcomed international delegations to Utah and facilitated meetings with the president of Mexico, prime minister of Korea and leading government officials from China and Taiwan. International diplomacy and protocol are critical to maintaining strong global networks across customs and cultures. Utah leadership is essential in promoting Utah businesses abroad and attracting foreign direct investment. International diplomacy has been defined in many different ways, but generally means conducting negotiations both politically and economically across countries. Protocol fosters diplomatic strength by identifying official procedures for interactions. The state of Utah and GOED will continue to build important relationships and an environment to do international business. “We have built a strong global network based on a solid foundation of diplomacy and protocol. As Utah continues to grow its international opportunities, diplomacy and protocol will prove more important than ever in building lasting bridges between our state and other countries,” Kolb says. For more information, contact Franz Kolb, director of international trade and diplomacy in the Utah Governor’s Office of Economic Development at fkolb@utah.gov. Franz Kolb with the Chinese delegation.